Footballer Hussein Ali, who bears a striking resemblance to Salah, says that he is bombarded with requests for ‘selfies’ every day - with some people even wishing him well after ‘his’ shoulder injury in the Champions League Final. If Mo Salah’s shoulder injury does rule him out of contention for this summer’s World Cup in Russia, perhaps Egypt might consider bending a few of FIFA’s selection guidelines by sneaking Iraq’s Hussein Ali onto the pitch in place of the Liverpool man. 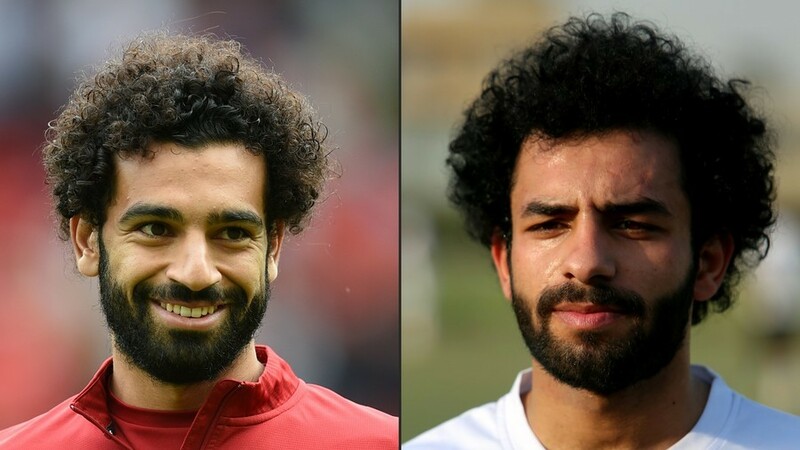 Much like his famous doppelganger, Ali is a professional footballer and currently plies his trade with Iraqi outfit Al Zawraa, and he says he isn’t content with just looking like Salah, he aims to replicate his style on the pitch too. “We play in the same position and I do everything to imitate and copy his movements,” Ali said to The National. “He reads the Quran and he asks God to help him before his matches. I also read the Quran and pray,” he added. Ali says that he is currently subject to a lot of the trappings of fame without being, well, famous. He regularly gets stopped on the street for photographs, and he has even purchased an authentic Liverpool kit to help keep the mystique. “When I played against the Lebanese club Al Ahed, people were taking photos with me for an hour and a half," he said. Ali says that people even sent him ‘get well soon’ messages following the shoulder injury Salah suffered in the Champions League Final. “In my neighbourhood, over a number of days, people who passed me would say 'Get well soon,” Ali said.